Soon the Beast of the East will be a distant frozen memory and it will be time to whip the covers off Monty, Gertie, Sybil and Elsie in readiness for this, our 6th season of glamping adventures… Bring it on. 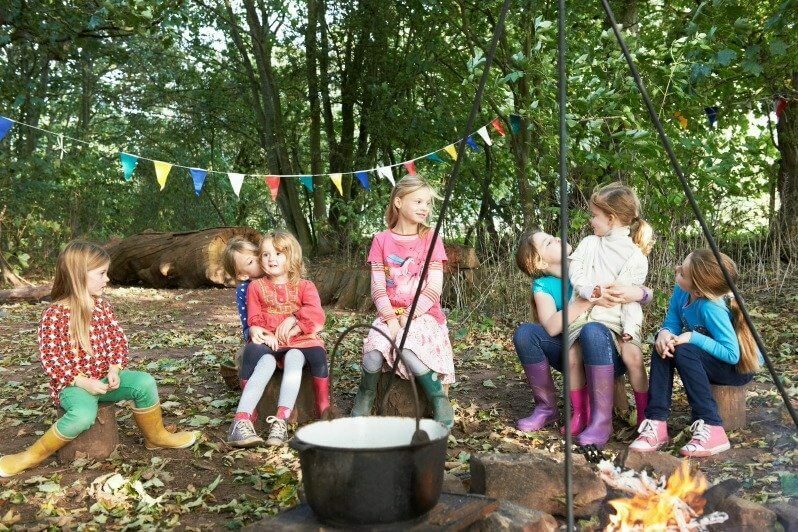 One of the things we love most about life here on the Mad Dogs glampsite is how each season offers different perks and a family glamping trip during the Easter holidays can be super rewarding. The copse, home to the Mad Dogs campfire log circle, shower shack and cosy Mess Tent, is a blaze of green and tiny yellow Spring flowers, the mornings are crisp and the evenings are light.